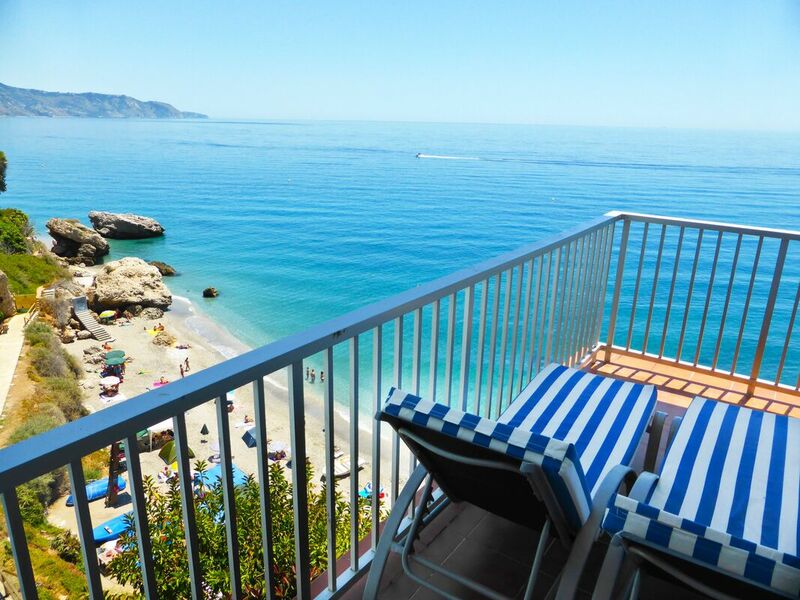 Stunning seaview apartments right above Playa Carabeo in the heart of Nerja's old town. We rent three apartments at this place, with two and three bedrooms, respectively. All have large southfacing balconies. Especially in winter it enables you to enjoy every sunray of the day, from sunrise to sunset. The apartments are fully equipped with large kitchens, international TV (incl. BBC, ITV), and high-speed WiFi. A locked parking space is included for free. Ones you are at the place, you can reach everything on foot. 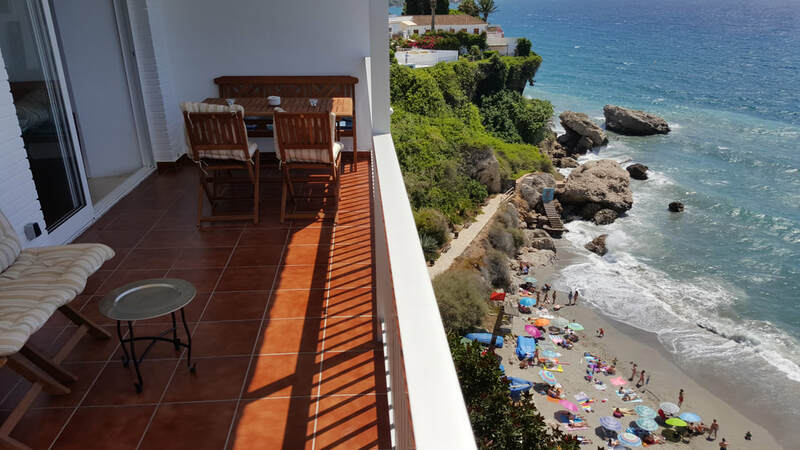 The centre with the Balcon de Europa is a five minutes walk away. A small supermarket is just across the street. From the groundfloor you have private stairs down to the beach, a shower on the way. The sandy beach is like a tropical cove, with large rocks at the edges and green vegetation the whole year round. 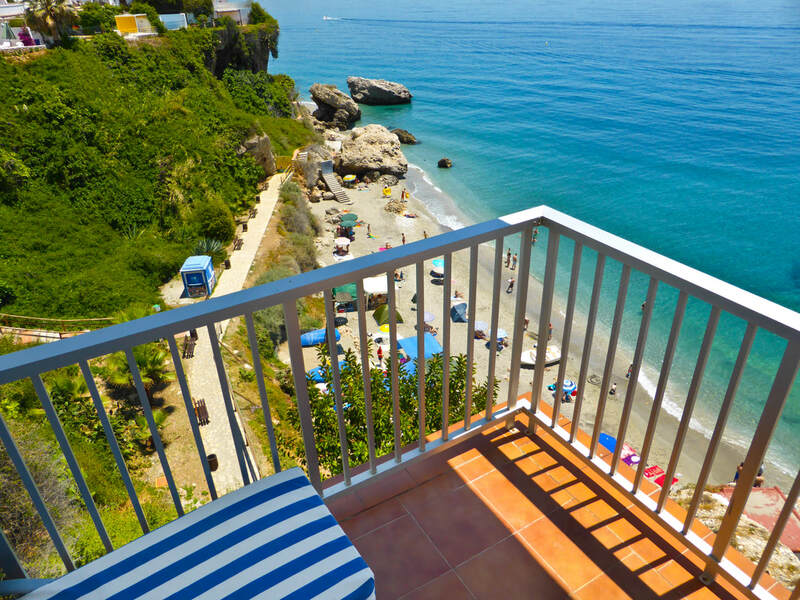 This is a top destination in Nerja, absolutely quite. In the night you can listen to the sounds of the waves. 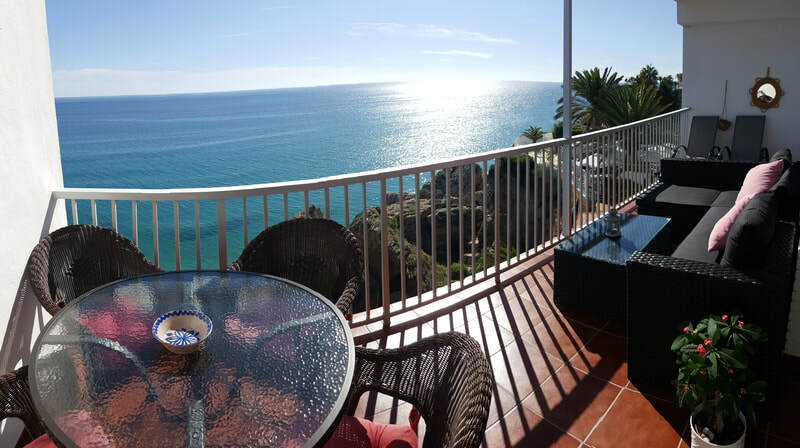 We offer a new One-Bedroom apartment from 2019 at Calle Carabeo 99 with partial seaview from the ground floor apartment and spectacular 360 degree views to the sea, the mountains, and the Old Town from the common roof terrace with its pool. The apartment is perfect for two, but with its sofa bed also big enough for a maximum of four guests. 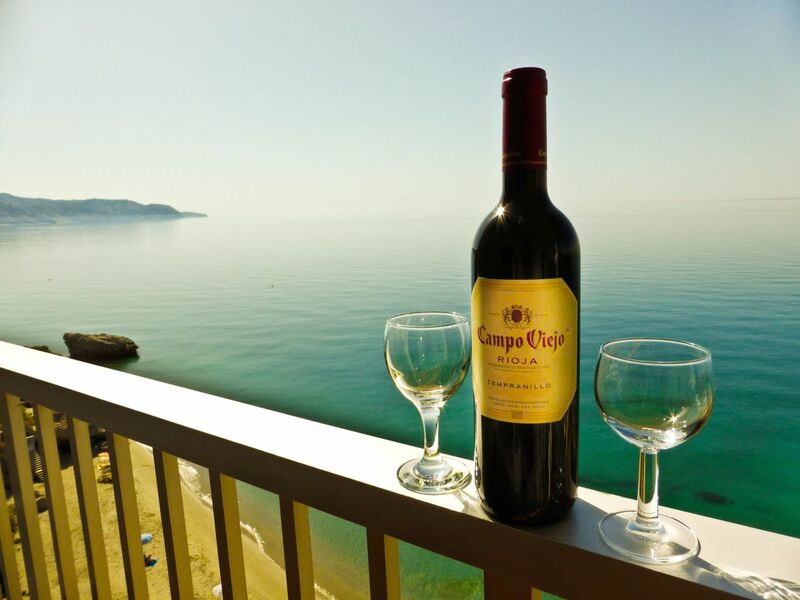 We also offer a One-Bedroom Apartment with spectecular seaviews in a different building nearby, at Calle Carabeo 78. It is a very modern apartment in a semi-detached house with a fantastic roof terrace and a common pool. Public parking to this house is very close by, and we can offer reduced parking tickets.